Credible & Affordable Real Estate Pre Purchase Professional Co-op, Condo & Home Inspection Service Only At HomeProbe! Buying a new home may be the biggest investment you'll ever make. The process is definitely very exciting but it can quickly become overwhelming in the end. So why end up worrying about all those pre-buyer requirements you need to attend to? 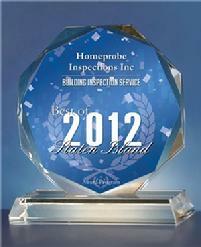 We, at HomeProbe Inspections Inc., are your reliable and professional home inspection service in New York City! Getting a home inspection is one of the most important parts of purchasing a home, and is very informative as what you are buying and the condition it is in, prior to contract signing. A good home inspection will also include helpful suggestions for damages and repairs found during the inspection, proper maintenance for your new purchase, as well as assist you in future changes you may have in mind. I stride to keep my prices low, however, saving 25 or 50 dollars should not be the main factor in choosing a home inspector. 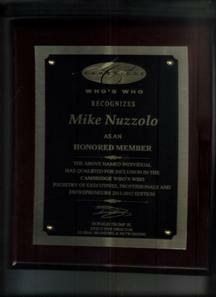 A knowledgeable and well educated home inspector with over a 40 year construction background is well worth the few extra dollars. I pride myself on my knowledge of homes and buildings, particularly older homes. I attend many construction trade shows and am well versed in new products, and the application and installation techniques, to give to the best home inspection available. I will also show you how to make your new purchase safer. My goal is to make New York a safer place to live, one house at a time. Having your Co-op, Condo, Townhouse, house, or any home, inspected by HomeProbe Inspections Inc. as early as possible prior the buying process will give you the information you need. All the details I will be giving you would serve as your guide in making the right decision. As a Certified and licensed real estate home inspector in New York City, I use a teaching approach for you the potential home buyer so that you are well informed about your potential new home purchase. HomeProbe charges reasonable rates (Please call for a price) to inspect single/two family homes, town houses, co-ops, condos, new construction, older homes etc. My real estate home inspection service will address any questions that you my have in mind about the home you are about to purchase. Not only this, I will help you plan future maintenance as well. I include scoping for visible evidence of Termite/damage, as part of my fee, with repair suggestions which will help you know in advance what to expect and do for your new home. I have a passion for homes and love inspecting them, and with my unquestionable expertise in the field, with over 38 years construction experience, and over 6,100+ inspections performed to date, I promise to give you the most credible house inspection you require, and deserve. I perform each and every inspection myself and handle all appointments and any follow up phone calls, as well. It is my goal to impart dependable and trustworthy service to my clients; I also extend my services to Queens, Brooklyn, Manhattan and Valley Stream Long Island. I am also well versed in trouble shooting and handling foreclosed homes and short sales. 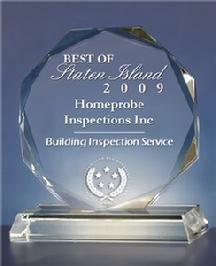 Orient yourselves with my home inspections company and the home inspections services I provide through freely browsing my website, and you too will discover why Mike at HomeProbe is highly recommended by the best Attorneys and Realtors in the industry. I also inspect apartments, co-ops, and condos, so if you have any queries and concerns, contact me as soon as possible for I look forward to giving you the best advice and home inspection service you deserve. Why take a chance on most Home Inspectors who get certified and have no or limited construction experience... Don?t be surprised, call HomeProbe Inspections... And BE SURE, when making your new purchase ! I welcome ALL questions, so feel free to give me a call with any concerns about you new purchase, 7 days a week 9 to 9 pm, and I will be glad to help.